When one looks at the relationships between video games and other forms of entertainment, few are as fascinating as that of games and toys. Today it is easy to see the influence that figurines have considering the incredible success of Amiibo, Disney Infinity, and Skylanders. However, when you look back a decade or two, you’ll find an industry desperately trying to present itself as more than just for kids. Of course, it was thanks to a particular toy that the video game industry was able to grow into what it is today. Whether you were alive at the time or not, most gamers are familiar with the video game crash of the early 1980s. These dark years saw revenues plummet from $3 billion to less than $100 million, all caused by a market flooded with terrible games, poor publishing decisions, and a few other reasons. Thanks to high-profile disasters like the infamous Atari 2600 console and E.T. game, no one wanted anything to do with video games from 1983 to 1985 (including the stores that once sold them). As one may guess, this didn’t fare well for companies that still had hope in their medium. Looking to win back the hearts of gamers who had lost all confidence in video games, Nintendo completely changed their strategy by implementing plans like the Official Nintendo Seal of Quality. This guaranteed that games developed for their Nintendo Entertainment System were not only good, but also honest in their marketing. Beforehand, developers would use exaggerated visuals in commercials and on the game pack itself, which left consumers feeling deceived when the game was of far lesser quality. Although these new plans were working, many retailers were still hesitant about carrying video game consoles on their store shelves. Due to this, Nintendo decided to pair up their NES system with an accessory that most people are only familiar with thanks to the Super Smash Bros. games: R.O.B. (Short for “Robotic Operating Buddy”). This toy helped convince retailers to sell Nintendo’s console, seeing as it was enough to differentiate the NES from previous consoles that collected dust on their shelves for years. Even though R.O.B. was only produced for a short while, it is considered as part of one of the smartest moves in gaming history for one reason: it worked. Despite being a simple accessory with very few uses, it helped spark enough interest in video games again; enough so that pretty soon the industry would be stronger than ever before. Fast-forward to the 90’s, and you’ll find yourself in an era where the video game industry is doing everything it can to separate itself from the label of “toy”. The idea that video games were only for children and younger teenagers was still very strong, brought on mostly by the fact that they were the ones filling up arcades in the late 80s and early 90s. Knowing that this demographic consists of people with no jobs, game companies tried their best to catch the interest of adults capable of purchasing more games and consoles. Companies like Sony and Microsoft proved very effective in drawing the attention of older teenagers and adults by making their consoles look more like high-tech machines than toys. Popular games like Halo, Final Fantasy VII, and GoldenEye 007 were a few of the many titles used to attract older gamers by delivering mature storylines and gameplay. It wasn’t as much an attempt to differentiate video games from toys as it was to finally be considered a legitimate entertainment medium akin to movies and television. In the year 2015 (as of this writing), things have drastically changed, as some of the most successful games today can only be fully enjoyed with physical figurines. It all started when Activision hit a goldmine upon releasing Skylanders in 2011, which proved far more popular than they could have ever imagined. This lead to Disney stepping in with their own “toys to life” series with Disney Infinity, which has seen its own explosion in popularity by using their expansive catalog of iconic characters. Who would have thought that Nintendo would end up benefiting the most out of selling such figures? Amiibo are so hot right now that Iwata and company can’t even keep up with demand, as fans frantically search for ways to get their hands on a particular figurine. 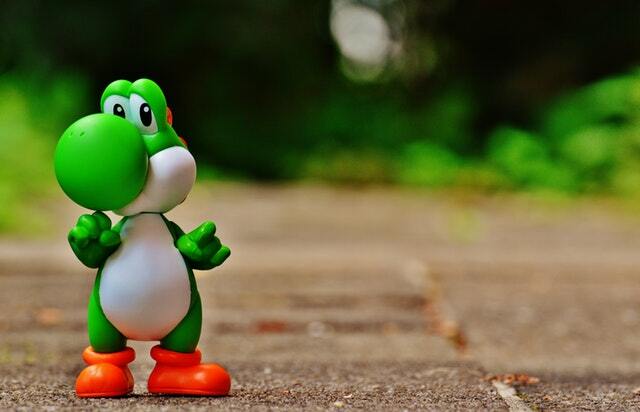 It appears as though toys have made a full comeback in the gaming industry, which leads us to wonder what else may make a return in the near future.